A global debate has emerged within Islam about how to coexist with democracy. Even in Asia, where such ideas have always been marginal, radical groups are taking the view that scriptural authority requires either Islamic rule (Dar-ul-Islam) or a state of war with the essentially illegitimate authority of non-Muslims or secularists. This book places the debate in a specifically Asian context. It draws attention to Asia (east of Afghanistan), as not only the home of the majority of the world’s Muslims but also Islam’s historic laboratory in dealing with religious pluralism. In Asia, pluralism is not simply a contemporary development of secular democracies, but a long-tested pattern based on both principle and pragmatism. 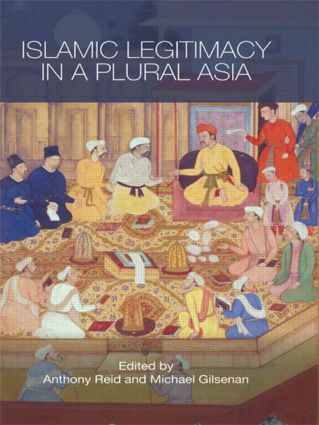 For many centuries, Muslims in Asia have argued about the legitimacy of non-Islamic government over Muslims, and the legitimacy of non-Muslim peoples, polities and rights under Islamic governance. This book analyses such debates and the ways they have been reconciled, in South and Southeast Asia, up to the present. The evidence presented here suggests that Muslims have adapted flexibly and creatively to the pluralism with which they have lived, and are likely to continue to do so.